As Fast As They Came, Soulja Boy’s Consoles Are Gone! It wasn’t already a smart idea to slap his name on some Chinese consoles (marking their prices up in the process…), but the rapper had to stop. 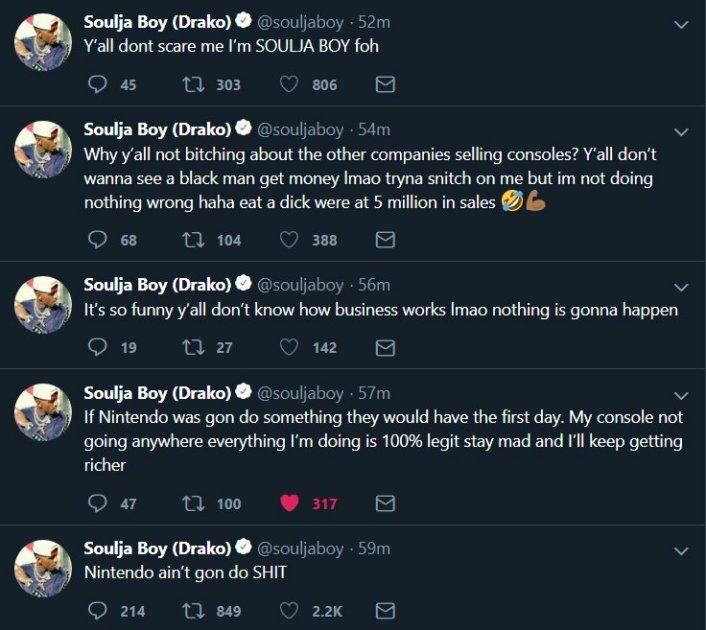 Soulja Boy has backed off since, and now, these Chinese consoles aren’t on sale anymore, possibly due to Nintendo threatening him behind the scenes. The joke here is that the rapper got his five minutes of fame again.